6/30/2015 Edited to Add: This class registration is now closed. 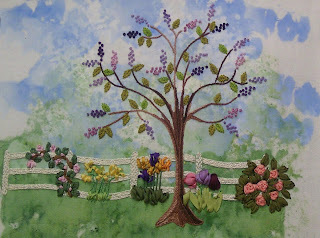 BCQC-June is OPEN FOR REGISTRATION This Basic Crazy Quilting Course (BCQC)is a pre-requirement for all other Intermediate Classes (except #102) REGISTRATION will remain open until midnight on June 29th (CST) The class is self-paced, and expected to take 4-8 weeks, depending on the time you have available to complete the 12 assigned Tasks. My stitching friend, Elizabeth, is closing her shop "Sew Victorian Crazy" on Etsy. She has beautiful ribbons and trims...and so much more. I asked her for permission to post about her fabulous "going out of business sale" and she agreed that I could share the news. 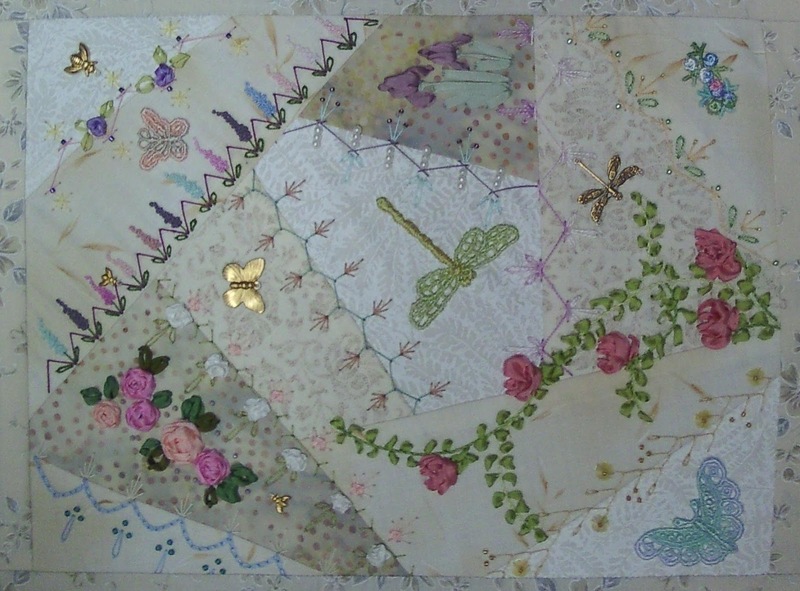 Here is her post on our Facebook Group this morning: My Etsy shop is closing June 30, 2015 and with the SALE COUPON, Crazy Quilt embellishments are selling fast. For 20% off, use coupon code: CLOSINGSHOP when visiting Etsy.com/shop/sewvictoriancrazy Once an item is sold out, it is gone! I wish to thank each of you for your support. So.....y'all better jump on over there and get the great supplies for crazy quilt work...while they are still available! Can you believe it...I have gotten CAUGHT UP! Usually by March, I'm already running behind in getting my blocks done for CQJP...and don't catch back up until November (sometimes even December). Each year...I hang my head in shame...a poor example to my fellow challenge participants! And this year...I started out the same way...letting other priorities and commitments come first. 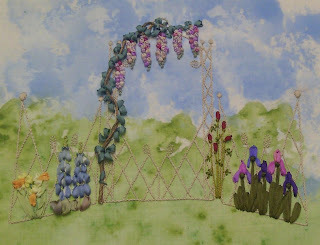 But, I pushed through...and spend time just enjoying stitching for "myself" and actually got caught up in the process! Now, don't come over and look at my poor floors that need mopping, my carpets that need vaccuming, or my shelves that need dusting...as they become lower priorities! Hugs! Edited to add: 6/12/2015 - This class registration is now closed. The next open registration will be 27-29 July...so mark your calendar. Registration is open through midnight CST on 11 June. The class is 3-6 weeks in length...depending on the time you have in your own schedule for working the modules. I decided to put the hummingbird into a blackberry bush. This is the April CQJP block. Still working to try and catch up. Here is what I've been working on all day...poor thing doesn't have any legs or feet...but I can't decide if I want him sitting on a branch or not. So, will have to think some more...and then proceed. When I posted the #2 HEX, it reminded me that I had not shared the first HEX here on my blog. The flowers were done in metallic ribbon...from Vintage Vogue website. Janet has such lovely ribbons! 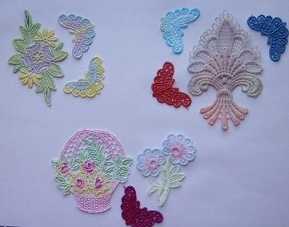 These pansies were a gift, part of a wedge of doily that I removed the other part from. Added a wee little flower center with some black straight stitches. And a tree in the center...and I'm all done! The trunk is Stem Stitch, the branches are Back Stitch, and the little wee twigs are done in small Straight Stitches with French Knots as buds. This pattern is part of the ICQC-103 Class Module.